This is a bit of a blast from the past, but way back in May I spoke at the Boulder Startup Week edition of Analyze Boulder on Auto-generating VC wisdom using recurrent neural networks. When I committed to speaking, I thought it would be fun to take on a project related to both startups and deep learning (since I like to be topical, plus the study group I had was still going strong). I ended up scraping all of Brad Feld’s blog (he’s a VC with a blogging habit), applied a character recurrent neural network using Torch and the awesome torch-rnn package. My spirit animal is back to Active Line. Sometimes I fear where I was there over the years. Boulder is curating – like the products. Analyze Boulder is a successful New York Post Media Member. 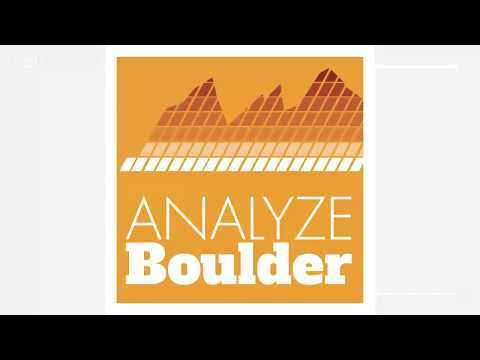 Analyze Boulder as entrepreneurial communities. Check out the video below! My 5-minute lightning talk begins at 34:50.